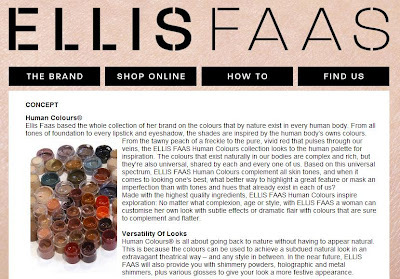 I'm totally intrigued by Ellis Faas' line of color cosmetics, which just launched at Bergdorf Goodman today. Based on a palette of "human colors" -- the colors are all inspired by colors found in all human bodies -- all the products are fluids. Makes sense, since about 70 percent of the human body is water. I'm very interested.